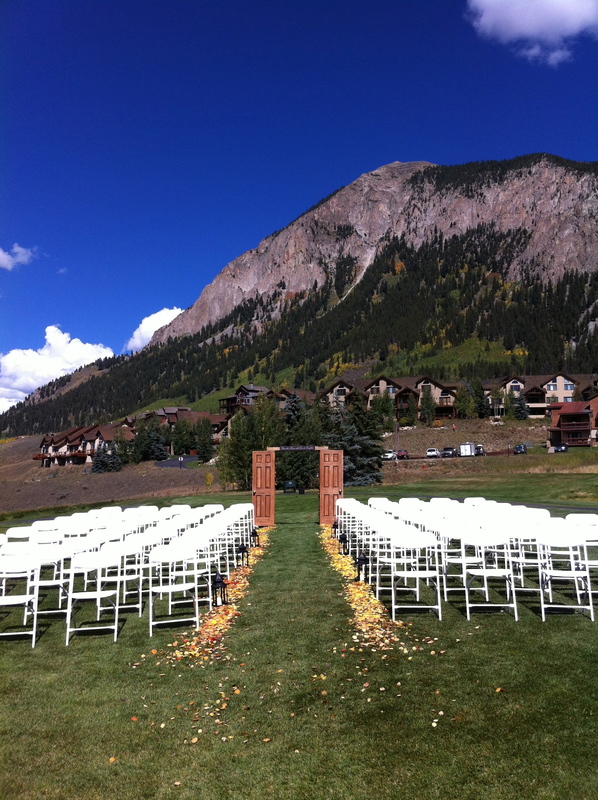 Lauren + Brad had a beautiful autumn wedding at The Club at Crested Butte in Colorado. 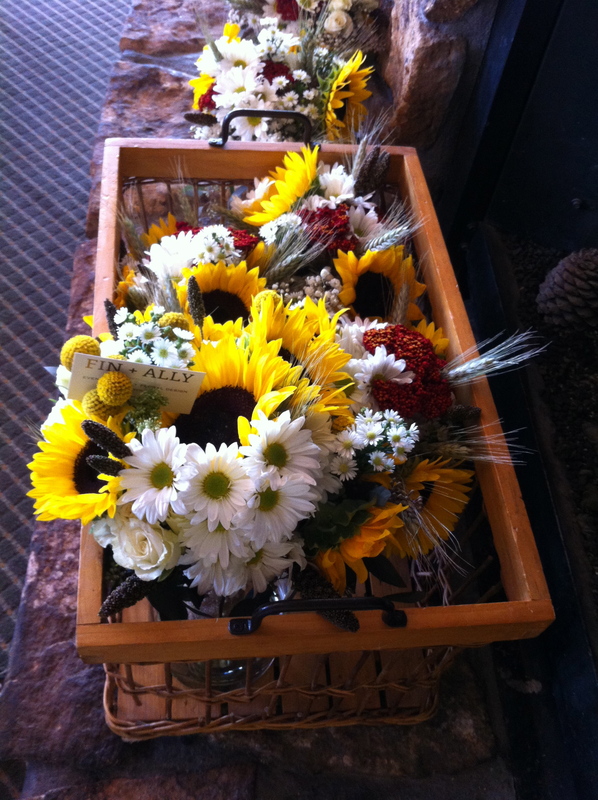 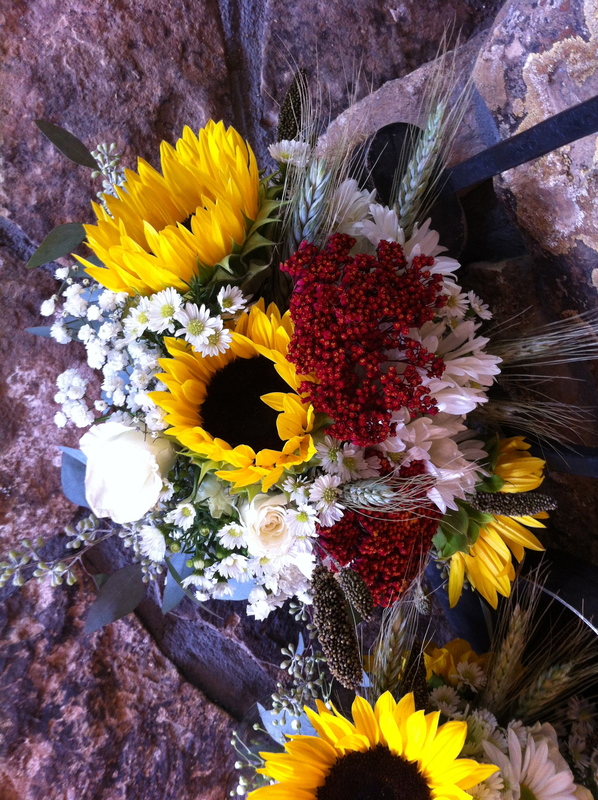 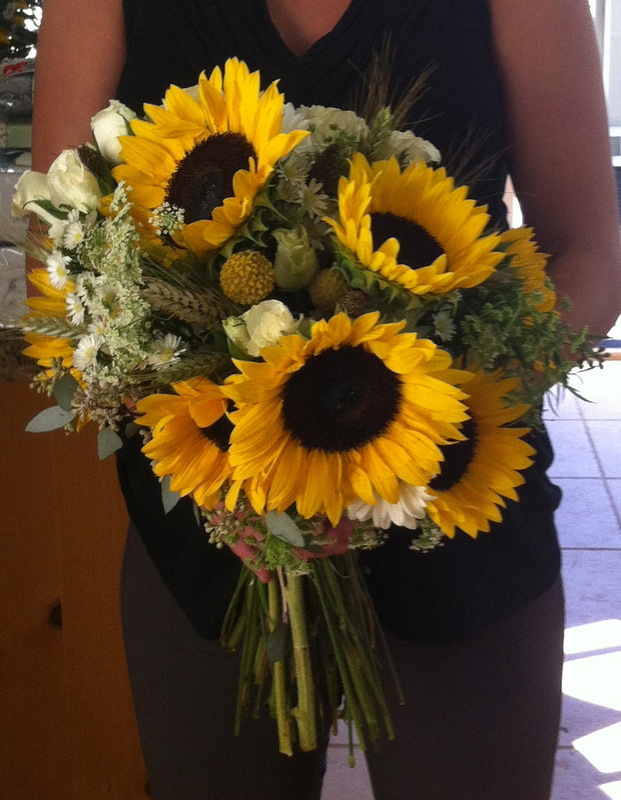 The natural colors of fall were her inspiration and her chosen featured flower was the sunflower. 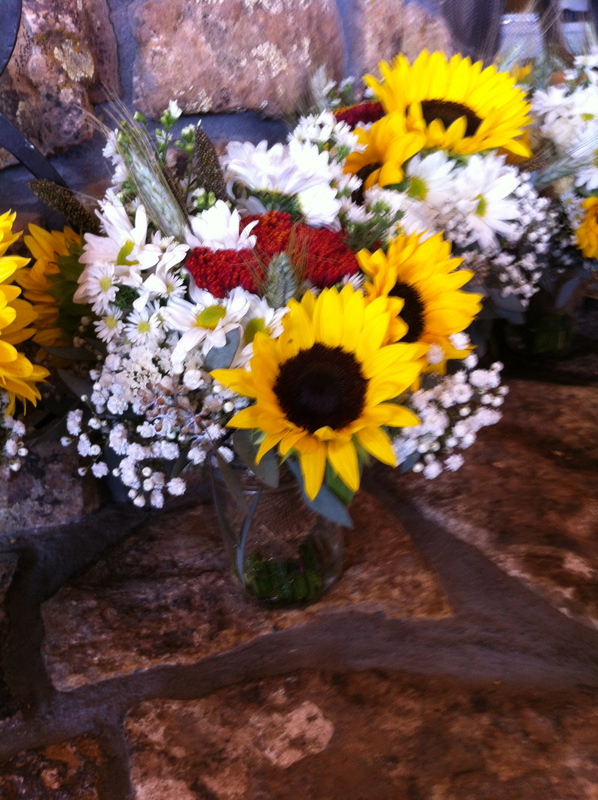 Her bridesmaids each wore a different hue of yellow, orange, red and brown, and groomsman’s boutonnieres complemented the lady’s dresses with hand dyed roses in similar tones. 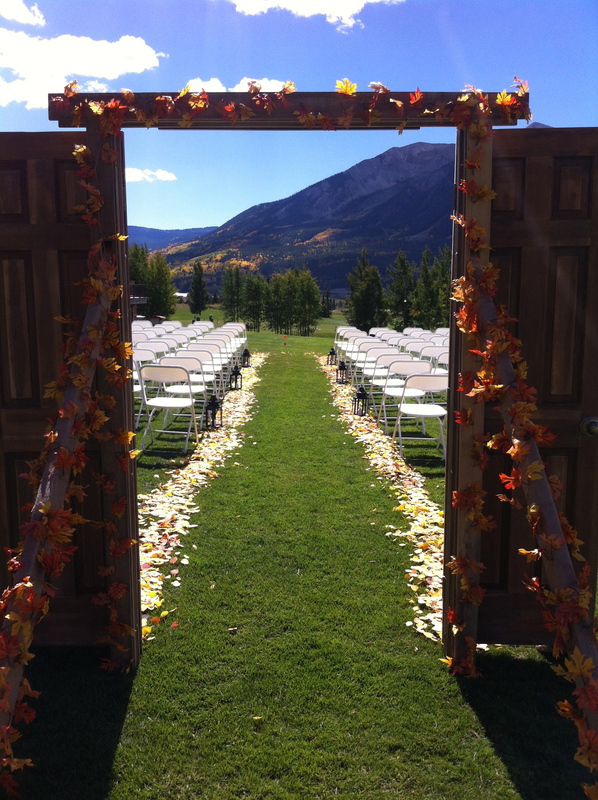 The scope included the boutonnieres, bridesmaid’s bouquets, bridal and toss bouquets and the fall foliage for the ceremony aisle.